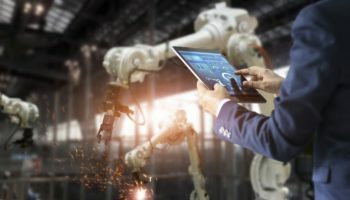 The government outlined in its industrial strategy that it will be supporting technology adoption across the sector, in a move to make the UK an Industrial Power House. As manufacturers take advantage of the post-Brexit export boom, UK manufacturing output is expanding at its fastest rate since 2008. All the while digital tools are radically changing each stage of the supply chain. Technologies such as analytics and automation are driving output expectations and causing organisations to feel the heat of market competition. Cloud computing in the industry has sky rocketed; with cloud-based apps helping bolster output and identify ways to squeeze costs. This continued investment shows no sign of abating either. Our research shows that in the next two years, AI is in the top three priority technologies for the sector, which if utilised correctly could give manufacturing firms an edge in terms of productivity. 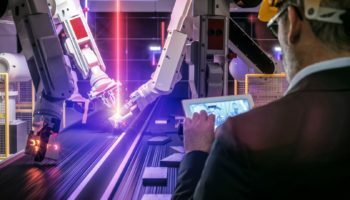 This is reflected in the EU’s Digitising European Industry Strategy, which identifies Robotics and Artificial intelligence as cornerstone technologies. However, success not only depends on having the right tools for the job; it relies on getting the entire workforce on board, by ensuring they are up-to-date with the organisation’s digital roadmap. The Manufacturing industry is at a tipping point – on the one hand there is great support to ensure that the sector leads the way in a post-Brexit Britain. That said, a growing skills gap and increasing cyber threats could grind production, and progress, to a halt. Cyber-attacks are increasing in sophistication, with new tactics constantly evolving. 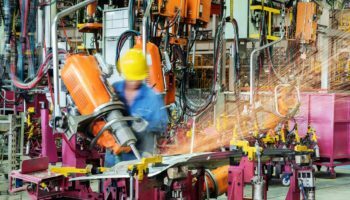 The manufacturing industry is one of the most heavily targeted industries, with cybercriminals launching attacks to steal invaluable information and intellectual property. 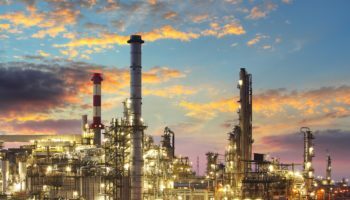 Even more concerning – and arguably more damaging – is the increasing number of attacks on production facilities and critical infrastructure. With increased levels of networking, and technologies such as robotics, 3D printing and the Internet of Things (IoT) becoming more accessible, hackers are finding new ways to disrupt production, or commit industrial espionage. Nonetheless, our research showed that 67% of IT Decision Makers (ITDMS) in the manufacturing sector feel confident that they are prepared for a cyber-attack. This makes them the second most confident sector, after financial services. However, while the assertion from ITDMs is positive, leaders in the manufacturing sector cannot afford to get complacent and let their guard down when so much is at stake. In the wake of these ever-growing and evolving threats, businesses across the globe are facing new challenges in the form of changing regulations such as the EU Global Data Protection Regulation (GDPR). The manufacturing industry will not be exempt from this new legislation and failing to comply carries considerable financial and reputational consequences. But who is actually taking charge within the manufacturing sector? Our research found that the finger of responsibility is being pointed at the Chief Digital Officer when it comes to GDPR compliance, from all lines of the business. Worryingly, only 3% of those polled see it as the responsibility of the entire organisation. It’s crucial that employees and business leaders alike are aware that, whatever your role or stature in an organisation, everybody has a part to play in GDPR compliancy. It should be a companywide initiative with regular assessment to ensure awareness, participation and compliance from all. ITDMs in this sector are the most clued up when it comes to compliancy, with 57% stating that they are already fully compliant – compared to the average of 41%. However, employees need reassuring, with 50% of employees saying that their employer has not communicated upcoming GDPR changes with them. This highlights a concerning disconnect between employees and managers on the subject, with many employees feeling like they have been left in the dark. It would appear then, that whilst leaders in this sector are feeling confident when it comes to upcoming challenges, this confidence does not necessarily translate across the business – with wider employees demonstrating a lack of assurance in the face of what lies ahead. A worrying 50% of employees openly admit to having no understanding of upcoming changes to compliance. This apprehension is shown not solely towards new regulations, but their wider capabilities within the business. For example, 35% of employees do not think they have been given the tools they need to navigate future challenges. The manufacturing sector has a notorious shortage in skills, with it becoming increasingly difficult to attract and retain the best talent. It will be unclear how changes such as Brexit will affect the way we recruit and retain this valuable talent. 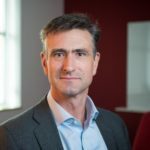 Leaders in the sector will need to take care not to become too complacent with their staff, or take for granted that they will be able to keep up with the pace of technological change and the resulting implications for skills in the workplace. Such a complacent approach could prove costly to an organisation at a time when Science, Technology, Engineering and Maths (STEM) skills are so few and far between. Business leaders in the industry must ensure that they are equipping their teams with every possible advantage to retain their staff and drive the business forward to a digital future. 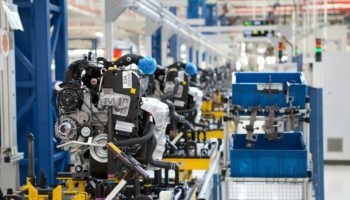 As their sector booms, manufacturers will need to be at the top of their game. But over confidence in the face of cyber-attacks, data protection and staff wellbeing could prove costly when so much uncertainty remains on the horizon. To navigate the choppy seas of post-Brexit Britain, manufacturers will need to realise the importance of getting the most out of processes, technology, and their biggest asset – people – in taking their businesses to success. Otherwise, they risk tumbling off the production line. Tom Holloway is Principal Business Resilience Consultant at Sungard Availability Services. Sungard Availability Services (Sungard AS) helps businesses transform their IT environments, ensuring they are resilient and recoverable. We leverage our experience across a broad range of IT landscapes to align the right workloads with the right infrastructures—whether hybrid cloud, legacy or something in-between.